The physical training is not specific to any particular sport. 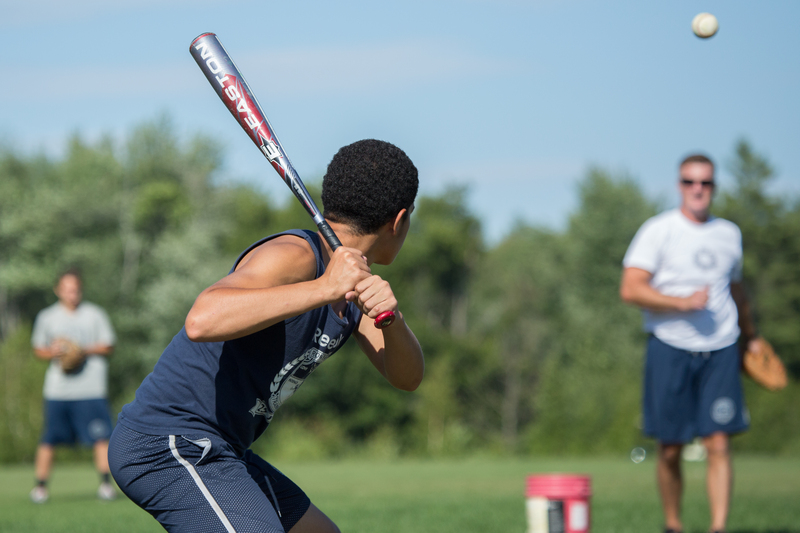 The camp experience is an overall training program that will enhance campers’ abilities in any sport. The physical drills are designed to dramatically improve athletic skills, speed, agility, endurance, stamina and strength. We do, however, have sport-specific clinics two to three times per week that teach techniques in various sports like football, track, tennis, soccer and basketball. The campers are in bed by 8:30 p.m. and up by 4:30 a.m. Each morning, five days a week, together we embark on a seven-mile run through the woods and over hilly terrain – rain or shine. We know each camper is at a different physical level, so campers are grouped accordingly. No first year camper is expected to be able to run the entire course in the first week. It is a journey built on tiny steps that will eventually lead to the goal of completing the seven miles non-stop. Throughout the day, campers are engaged in various physical drills. Campers who are 14 years of age and older are expected to do weight training in our weight room. Younger campers perform strength conditioning through isometric exercises. Afternoons are filled with fun athletic competition in a variety of non-contact sports including basketball, football, swimming, volleyball, soccer, softball, tennis, golf, cage ball, angle ball, capture the flag, and relays.